Kate Lyddon is a multi-disciplinary artist working across drawing, painting and sculpture, her work explores the boundaries of what is considered normal and what is perverse. She creates scenes of absurdity drenched in dark humour. Cartoon-like characters adopt strange poses and are often grotesquely contorted. Francis Bacon can perhaps be cited as primary influence, in terms of the distorted pictorial language. 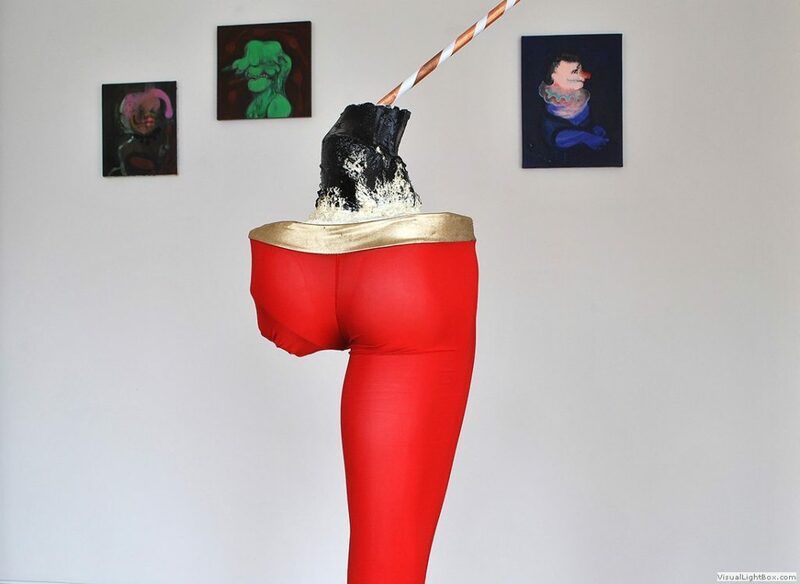 Kate is playful with these deformities, producing pieces which are simultaneously unsettling yet amusing and whimsical. Lyddon uses a range of techniques, including mark making, collage, pencil drawing and etchings to the creation of bizarre life size sculptures, figures often developed by chance and happy accidents. The work is fanciful and otherworldly. It has a hallucinatory quality as it delves into psychological uncertainty. It challenges our preconception of beauty whilst exploring the fantastical and even surreal. Kate Lyddon (b.1979, London) completed an MA in Fine Art from Chelsea College of Art in 2006 and a BA Fine Art at Canterbury Christ Church University, Canterbury in 2001. Lyddon has presented solo exhibitions at Standpoint Gallery, London (The Mark Tanner Sculpture Award 2014/15); Galerie d’YS, Brussels; Galerie Charlot, Paris; Fold Gallery, London; and Skellefteå Kunsthalle, Sweden, amongst others. 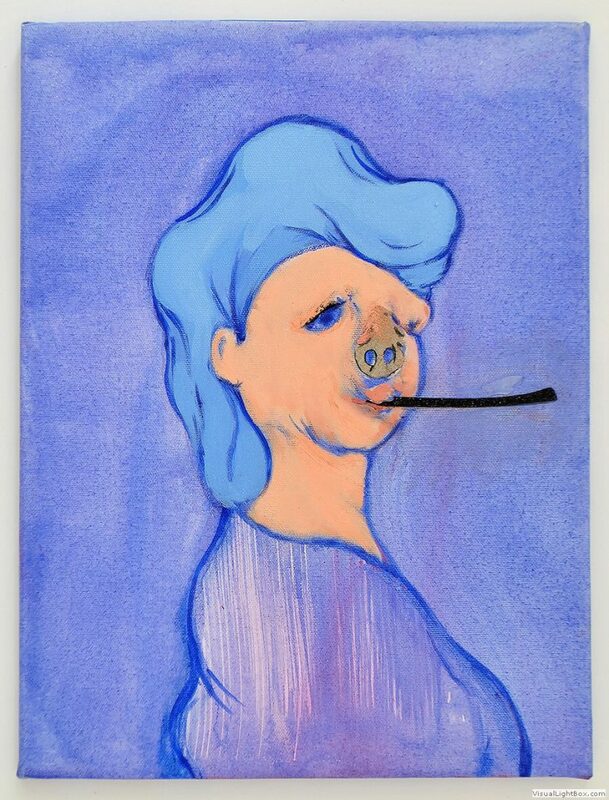 Recent group exhibitions include Suspicion curated by artist Dan Coombs at Jerwood Space, London; and Anti-Social Realism, Charlie Smith, London. She has been recently featured as part of the Zabludowicz Collection Invites series. This entry was posted in YOUNG ARTIST TO WATCH and tagged kate lydon. Bookmark the permalink.